We’d love your help. 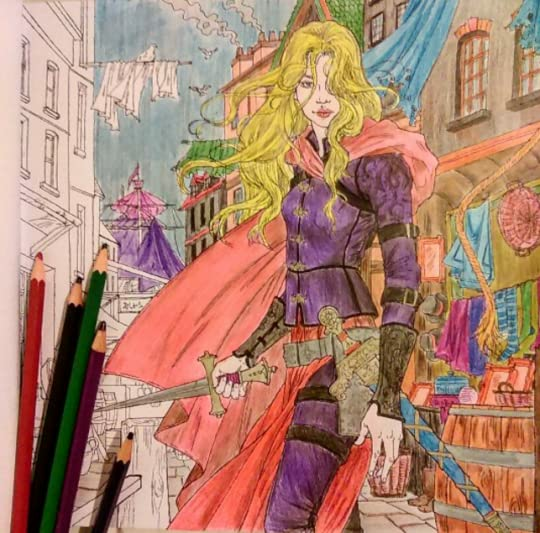 Let us know what’s wrong with this preview of The Throne of Glass Coloring Book by Sarah J. Maas. Experience the vivid imagery of Sarah J. Maas's expansive world in her breathtaking New York Times bestselling Throne of Glass saga. 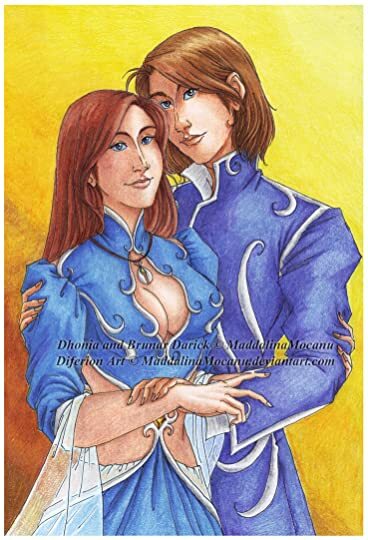 Celaena on the rooftops of Rifthold, Chaol in the gardens of the glass castle, Manon riding her wyvern through the Crossing, and many other favorite mo There is an alternate cover edition for this ISBN13 here. 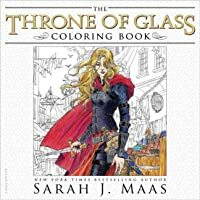 To ask other readers questions about The Throne of Glass Coloring Book, please sign up. when is the 5 th part coming out???????????? Where may I purchase this greatness? I love this coloring book! I have only colored two pages so far, but I love the lay-out. The book has on one page a few words from whichever book and has the book listed. 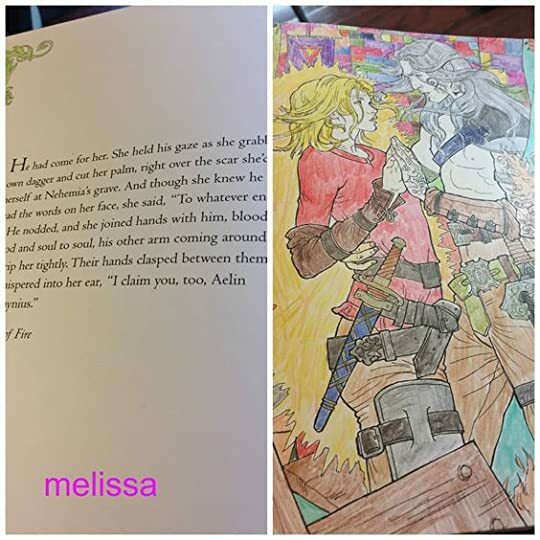 And on the other page they have the actual picture that you color! Had a look at this in the shop and yeah, the illustrations are good I guess. I'm not going to get it though, not really worth it. AHHH okay the more i look at this the more I'm not loving it. Most of the men have the exact same face.. same for the females. Hard to tell who is who unless you read the caption. Idk. This is my greatest impulse buy ever. This is the greatest thing to ever happen to me ever. This book is magical. I literally can feel it beckoning me even though I am no where near it. 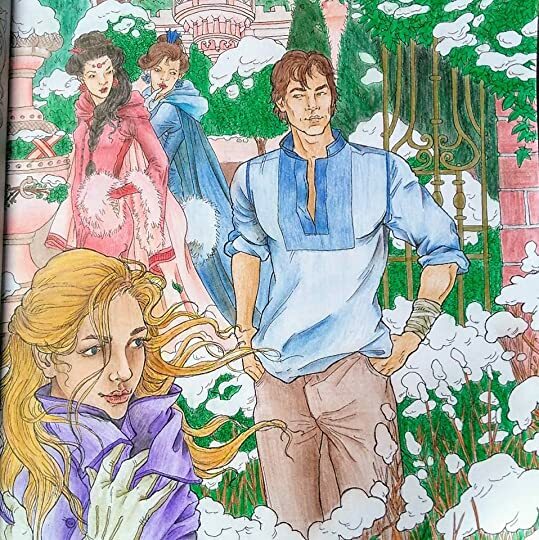 But as much as I want to spend the rest of my life coloring Celaena and Manon and Chaol, I have other books to read. I do have a couple issues with this though. Nearly every female looks the same and so does every male. You can't distinguish them unless you read the description. Also, some of the drawing is a bit sloppy. There are some stray lines in places and then there are places where there are lines missing that create discontinuities in the picture. I also wish the outlines weren't so dark because I like to try to color so they appear as realistic as possible. Unfortunately, due to the dark lines, the pictures still appear cartoonish, no matter how hard I try. I totally forgot I removed my review of this last year. Basically, I was never going to buy it since I'm not a big fan of colouring in. However, I saw it in Target one day (you should know my local Target is pathetic and they hardly ever have any books, etc in) so I took it as a sign that I needed to buy it. Plus I thought it would look weird if I owned the ACOTAR one without owning this one too. These drawings are honestly incredible and so so beautiful. I'm jealous of the amount of talent thes I totally forgot I removed my review of this last year. I’m pretty sure that since owning this book, I’ve flicked through the pages 98568 times. Not exaggerating (totally exaggerating but shh you get my point) . 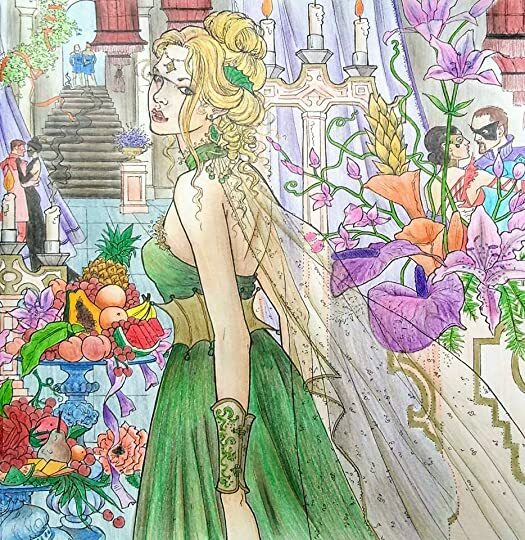 I just can’t believe there are people out there who can draw like this. It’s so incredibly detailed, and everything is just right. The characters are captured perfectly. And even though there are snippets of the story on the left hand pages to explain which scene it is, I’ve not needed them to explain who I’m looking at. You can just tell who it is immediately. I love how much the drawings range in this, scene-wise. The scenes are mostly from the first four books, but there’s a couple at the end from the fifth book that’s just been released (Empire of Storms) and even a few pages at the beginning showing one scene from each of the novellas. It’s so nice to see, especially since so many of the scenes are favourite of mine. Plus it’s a nice reminder to flick through the colouring book and SEE the scenes again – it’s almost like a mini reread of the key parts . 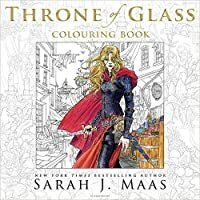 There’s a great mix of character drawings and landscapes to colour too, so you can pick and choose whatever you feel like colouring on the day. It is so beautiful! I could spend hours simply looking at the pictures (more than I already have). At first my intention was to use this book to remind me of what's happened so far, before reading Empire of Storms, since it depicts some of the best moments. However I now want to read aaaaalllll the books again. Immediately! Bought this today, BEST THING EVER !!!!!! The art in this book is astounding. CAN WE TALK ABOUT HOW GOOD CELAENA LOOKS IN THIS THOUGH!? SHE'S SO PRETTY. 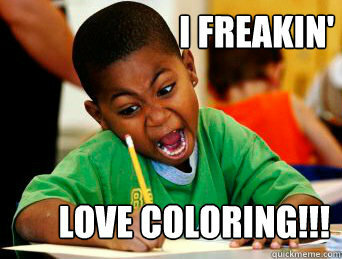 I hate colouring in because it makes me angry for some weird reason and to be honest.. I don't think I'll ever colour in this entire book. 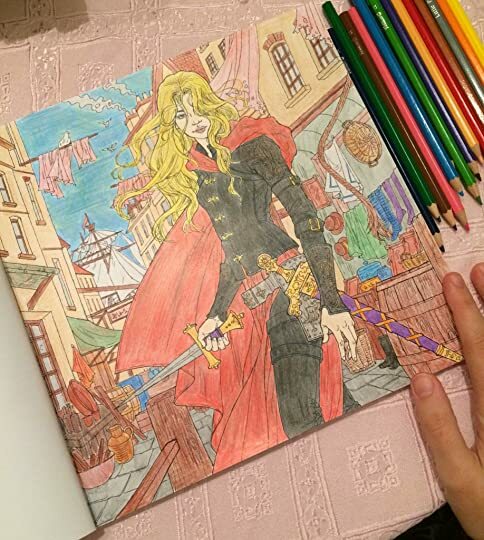 I couldn't even colour in one picture without wanting to cry with anger. The quotes from the books in this are greeeeat. I haven't read the Empire of storms quotes yet in case there are some spoilers (view spoiler)[Is the picture of the boats a spoiler The art in this book is astounding. I don't colour at all, so I wanted this book simply to have it. I love the Throne of Glass world Sarah has created and just wanted to see from her point of view. And honestly, I AM BLOWN AWAY! I sat with a stupid smile on my face the entire way through it! I love it soooo much more than I ever thought I would! Reading the excerpts from each scene brought back all the feels and had me laughing. I am sooo happy I got this. I HIGHLY recommend it. You'll absolutely LOVE it! Thank you soo much for bri I don't colour at all, so I wanted this book simply to have it. I love the Throne of Glass world Sarah has created and just wanted to see from her point of view. And honestly, I AM BLOWN AWAY! I sat with a stupid smile on my face the entire way through it! I love it soooo much more than I ever thought I would! Reading the excerpts from each scene brought back all the feels and had me laughing. I am sooo happy I got this. I HIGHLY recommend it. You'll absolutely LOVE it! Thank you soo much for bringing this world to life. Bring on ACOTARs colour book. It's a colouring book and I've finished one page...this counts as a book read though...there are words in the book. It. Counts. And yes, I'm 21 and colouring pictures in my spare time, I'm really cool. I've techincally read it, despite it being a colouring book. It's a great way to destress as well as finally have a visual for all the characters in this series. OH MY GOAT! I am so excited for this! I don't color but I sure am excited to see the illustrators depiction of the setting and characters!! 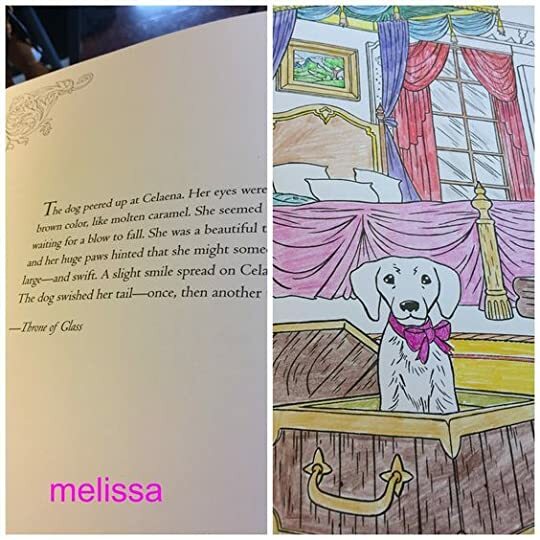 First of all I have to say that the idea of a coloring book for a book that I have read is completely BONKERS! I am all for it! Let artists express their creativity. Let the reader (of course those who can color ^__^) bring it to life in the way they seem fit! And I let her color the first page and.... then the rest of the book. I dunno if you know this of my sister but she is a very talented artist and a professional graphic artist. Here work you can see here on her Deviant Art account. She hasn't read the Throne of Glass but she has heard me talking about it and I think she has a basic picture of it. Plus she can work miracles with the colors she has... which are some of the best. They're not Prismacolor (those are so expensive) but Faber-Castell and Staedler come very close to the quality. Anyway... this was just something trivial and nice to have around and maybe when I am not in the mood to read something I might pick up my pencils and color. I am not gonna color them in order... heaven forbid. And I am not going to color any of the ones from the books I have not read from the Throne of glass, namely Queen of Shadows and Empire of Storms. 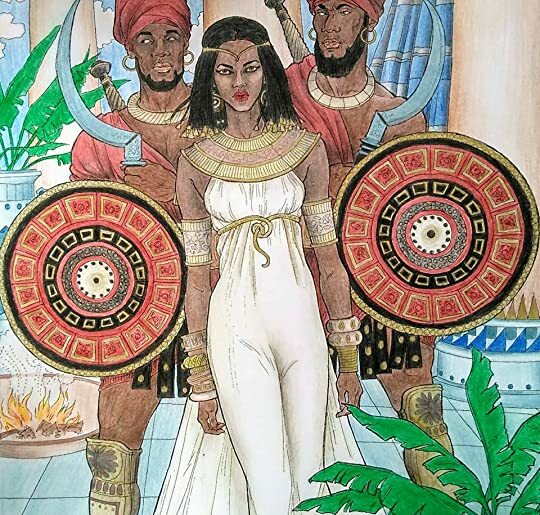 The illustrations in this are so beautiful! Updated: Sep 2016. It has a cover and looks GOOD! I haven't read Throne of Glass yet because I decided to wait for her to finish the series but I'd love to have this one right now. I once checked her pintorest (I think) account and I loved the characters pictures she posted there, there were amazingly inspirational. It came!!! It just came in the mail I am so excited to start de-stressing and colour!!! 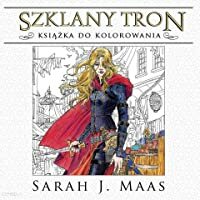 Featuring original Throne of Glass artwork?! Celaena being a badass? Chaol? Manon flying Abraxos?! I love this so much. I can't wait to color everything. Everything was almost exactly like I pictured it. This is the most beautiful coloring book I have ever seen !! Edit: Okay, so I flipped through the book and almost cried. Honestly, some of the illustrations could be better, but actually seeing the scenes from the book is what made me tear up. Especially the one with Celeana (view spoiler)[visiting Nehemia's grave. (hide spoiler)] It was just as I imagined it. I don't buy adult colouring books because as much as I want to, I know I'll eventually forget about it and it'll just be Edit: Okay, so I flipped through the book and almost cried. Honestly, some of the illustrations could be better, but actually seeing the scenes from the book is what made me tear up. Especially the one with Celeana (view spoiler)[visiting Nehemia's grave. (hide spoiler)] It was just as I imagined it. I don't buy adult colouring books because as much as I want to, I know I'll eventually forget about it and it'll just be lying on my bookshelf forever incomplete. I have to admit that I picked this up, mostly because John Howe is one of the illustrators of the book. But taking a look at the pages, I have to say that I like almost all the work. And look at me now, finishing the first page. so yeah, I'm never coloring in this. ever. these drawings are fantastic - glad to see some from Empire included. I still haven't colored this.